Part II: Summary and "Top Five"
Congratulations on Thunder Hill Elementary School achieving recertification as a Maryland Green School. This is a significant accomplishment, representing a continuing whole school commitment to environmental literacy for staff, students and the community. The Maryland Green School Program is an award winning program begun in 1999 which has certified over 450 Green Schools. 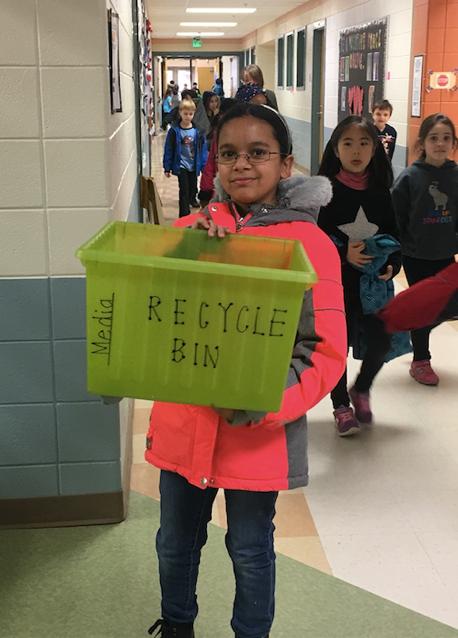 With over 2000 schools and 1 million students, Maryland school communities have a large environmental footprint; your school’s actions help improve environmental sustainability. Your school is eligible to be a part of a national and international community of sustainable green schools. MAEOE has teamed with the National Wildlife Federation’s Eco-Schools USA program to recognize the achievements of Maryland Green Schools. To receive this national award, please contact Kim Martinez via email at martinezk@nwf.org for more details. 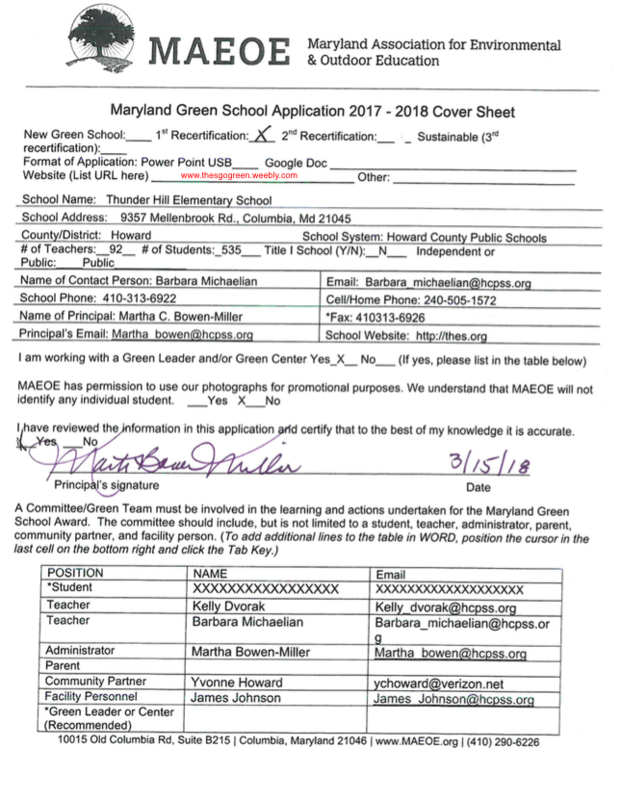 Your school’s certification as a Maryland Green School also shows progress toward achieving the Maryland State Department of Education (MSDE) environmental literacy requirement. Each year your students are becoming better stewards of our Earth’s resources and developing a better understanding of their own local environment. The Maryland Association for Environmental and Outdoor Education is holding our annualGreen Schools Youth Summit at Sandy Point State Park on Friday, May 30th. We would like to celebrate your school’s accomplishments at an Awards Ceremony on that day. Green School Official Flags, Governor Citations and other items are issued there. For more details about the event and registration information for the Awards Ceremony and Youth Summit click here. We are attaching a press release for you to use. Official Maryland Green School numbers will be confirmed and an additional press release will be sent out in early May. If you did not make a copy of your application and you would like your copy returned, please send your email request to the office in the fall. This summer we will be choosing application examples for our website, we will contact you directly if we use illustrations from your school.